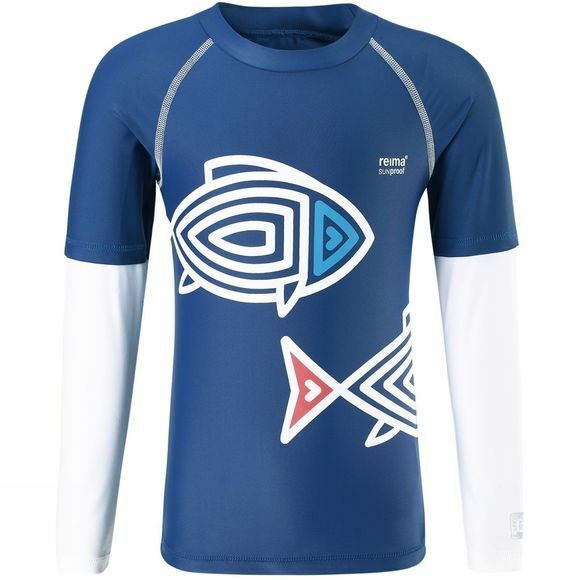 Fresh summer long sleeve T-shirt to keep the sun at bay! 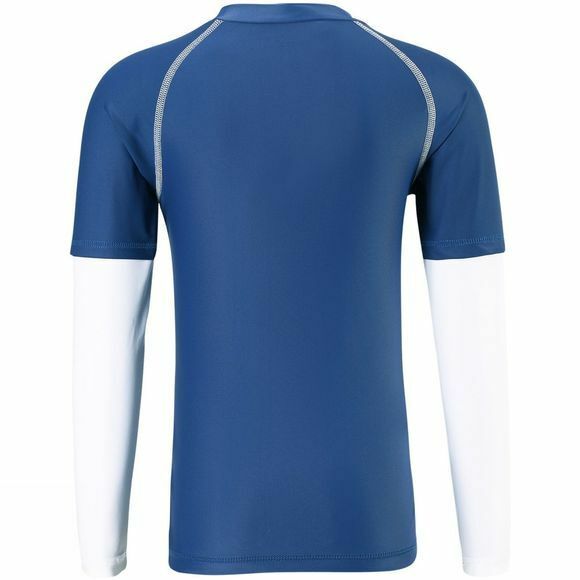 T-shirt comes with UV cut 50+ providing effective protection against the harmful sun rays, all the way to the wrists. New stylish print at front, white seems and sleeves. The elastic material dries quickly and can be used both for swimming and playing at the beach. Combine with fresh blue-white shorts – totally good-looking!